The best time to see a set of forage variety plots is at about the least convenient time of year — right when dairy farmers are trying to take first cut and/or planting corn. It is not uncommon for someone to say something like, ‘why don’t you take some video of that event so I can see it?’ While some things will clearly be lost, that is not a bad idea. The video clips were taken individually and are unscripted and unedited. No endorsement of any grass or legume variety is intended, despite various comparative terminology that may have been used. 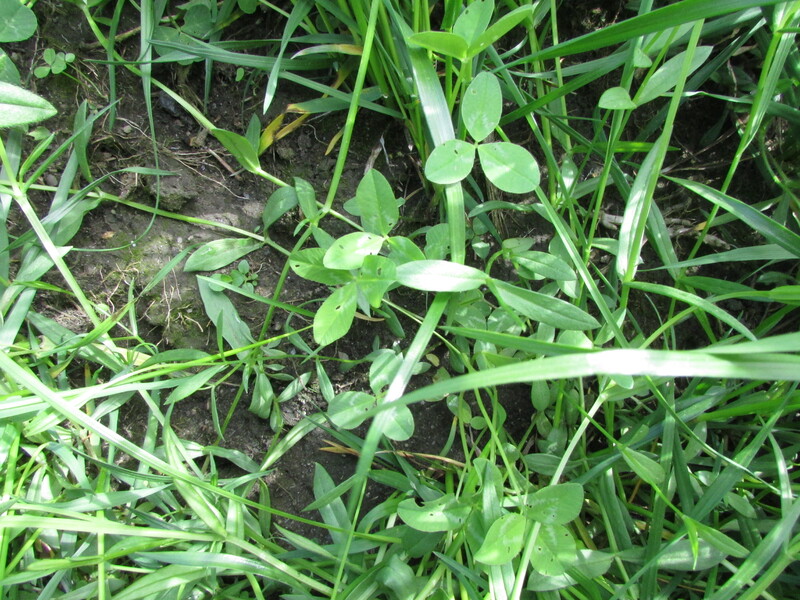 Why Use On-Farm Forage Plots? As with corn and cow breeding programs, much progress has been made in the forage breeding. Unfortunately, the seeds of an average-performing variety look mostly like the seeds of a far superior variety. Differences can only be observed in the field. I believe that there are opportunities for farmers to increase profitability by choosing forage species and varieties that address various needs on their farm. Do you hate orchardgrass because it heads out way too early for you to make quality first cut haylage? Much later-maturing varieties exist! Do your cows largely reject orchardgrass after the first grazing event? This is likely due to foliar disease, and disease-resistant varieties of orchardgrass exist. If you could increase the dry matter intake and lactation of your cows by using haylage made with lower-fiber grasses or grasses with higher fiber digestibility, would it be worth a look? Are there higher-yielding, more persistent legume species and varieties? What does it look like when I combine species/variety X, Y, and Z? What kind of seeding rate is appropriate? You can read the tech sheets on the varieties available from your local vendor, or you can take a look at them in a setting similar the one on your own farm. Given that you are going to live with your new seeding for five years or more, which do you think might be more useful? These plots were planted on the [Geordie and Emery] Lynd Farm in Cabot, Vermont in late-August of 2014. This particular field generally has excellent snow cover. It is also close enough to the manure pit that it can easily receive liquid manure through an irrigation system. The video was taken on May 21, 2015 – and was grazed that same evening. The Carter Plot Seeder that was used to establish the plots in 2014 has what looks like a section of a cultipacker in the front, but which actually serves to open a seed slot. This ‘culti-opener’ is connected to the crank on the Briggs and Stratton Engine and actually pulls the machine along….unless you are going up-hill, in which case you might need to provide some of the force. Going down the hill, gravity provides some of the drive, and I provide Flintstone-style braking. 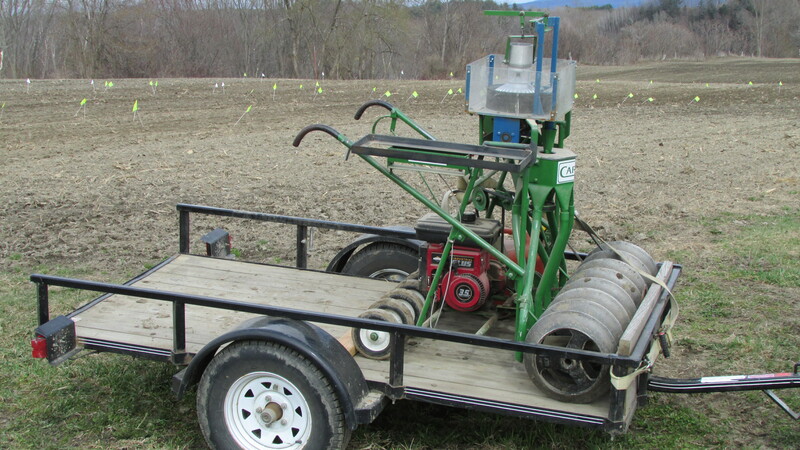 This machine allows many small plots to be established quickly with no need for vacuuming out seed from the previous plot. Prior to seeding, the field was conventionally prepared and cultipacked. How did we decide what to plant (or not) in the plots? Mostly by interacting with seed companies and the farmer. Seed companies sent small amounts of seed to use in this and other projects. Understanding that these plots were going to be in Vermont, most of the species and varieties are among the most winter-hardy that they carry, especially the perennial ryegrasses. 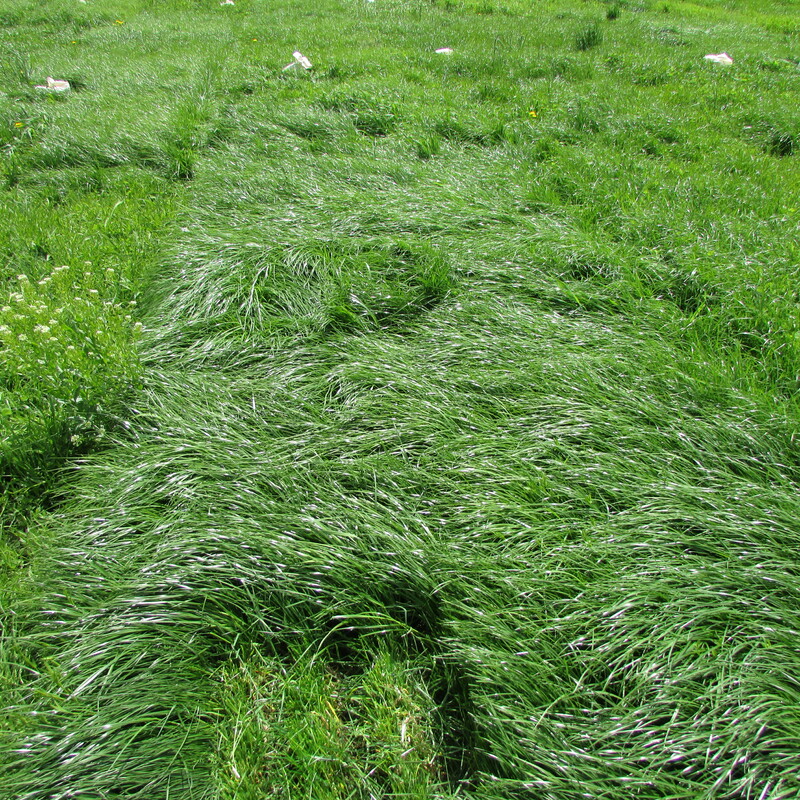 We excluded tall fescue from the plot area because it is difficult to get rid of in an organic system and because this field is a pasture for lactating milk cows. 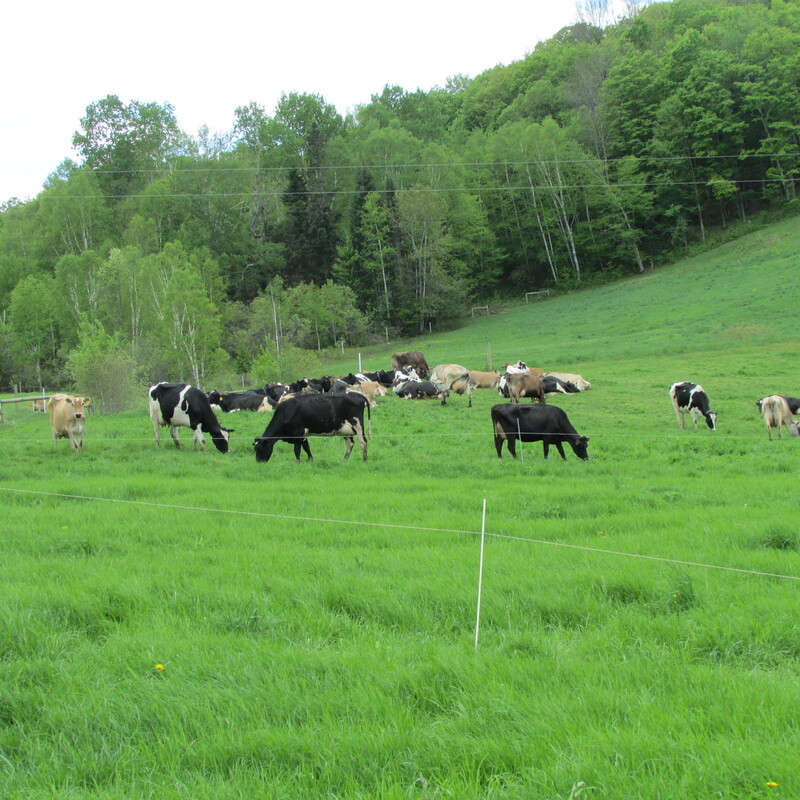 Even the vendors will tell you that even the ‘soft-leafed’ varieties of tall fescue should not be included in dairy pastures, due mainly to the lower palatability, the possibility of lower DM intake, and/or spotty grazing. Because the farm was organic, we also had to exclude seed that had been treated with banned substances. A fair number of perennial ryegrasses were included in order to compare winterhardiness (all had excellent winter-survival coming out of the first winter), maturity, yield, and quality. 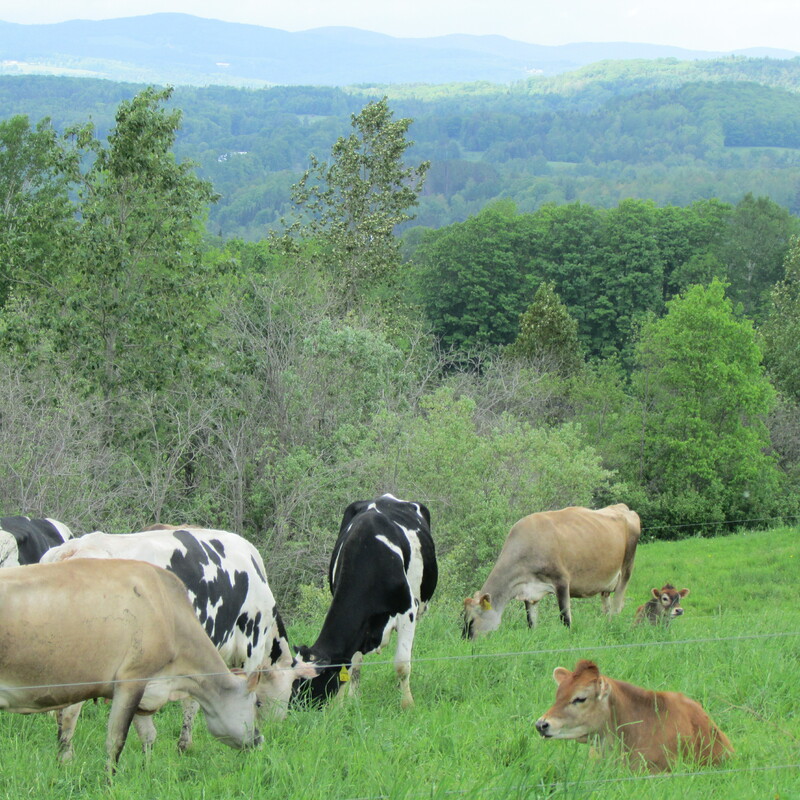 Very little perennial ryegrass is currently used in Vermont pastures. It is less persistent, but much later maturing than Kentucky bluegrass. With good management, yield can be comparable to orchardgrass. A lot of progress has been made by plant breeders over the past several years and perennial ryegrass deserves a closer look under several management and environmental scenarios. This entry was posted in Uncategorized and tagged BG-24T, BG-34, clover, dairy, Extend Orchardgrass, Garibaldi, grazing dairy, Green Spirit, HDR Meadow Fescue, HLR Orchardgrass, Italian ryegrass, kura clover, meadow fescue, orchardgrass, pasture, perennial ryegrass, red clover, rotational grazing, Tivoli, University of Vermont, UVM Extension, Vermont, white clover. Bookmark the permalink.